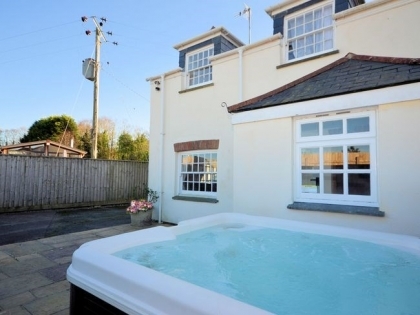 Steeped in tradition, this recently renovated 6 bedroom Padstow cottage with private hot tub offers exquisite decor, utter privacy and the perfect environment in which to enjoy the company of family and friends. Set in farm lands, children are invited to take care of their very own miniature pony or help with the daily feeding of the local animals. Of course, the kids shouldn’t have all the fun and for us adults, there is the indulgent luxury of the hot tub, perfect for sipping a glass of bubbly whilst waiting for the barbeque to heat up on the patio. With Padstow and Newquay at your doorstep, you are also afforded a fabulous selection of top restaurants, with Jamie Oliver and Rick Stein owning some fantastic local establishments. Of course, the adventure of the local coastline cannot be forgotten, with rich sandy beaches and surf-friendly waves all on your back door.